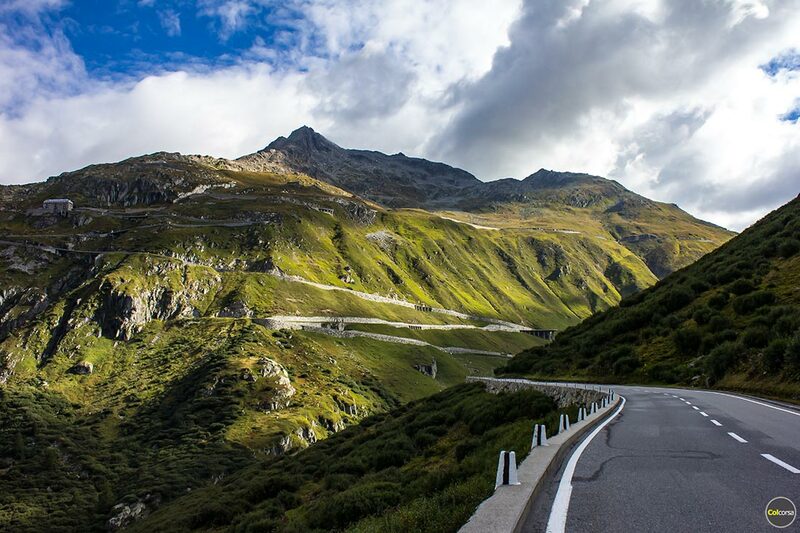 Furka Pass is the legendary Swiss mountain pass that gained fame after it was featured in a car chase scene in the James Bond movie “Goldfinger” from 1964. An Aston Martin DB5 and a Ford Mustang climbed this scenic driving road, located in the Uri/Valais region of Switzerland. 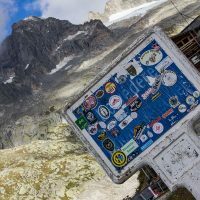 More than 50 years later the landscapes have remained almost the same, and this is most certainly a road in the Alps that those in search for the best driving roads in Europe should experience. It is many people’s favourite road, and it might become yours too. 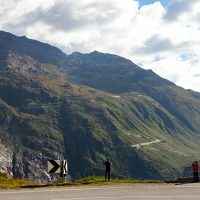 Furka Pass is situated close to other scenic roads. 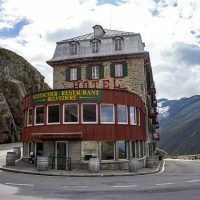 If you are approaching it from north you might drive over Grimsel Pass before arriving to the bottom of Furka, and if you approaching it from south it is possible you will find yourself on top of Nufenen Pass before reaching Furka Pass. 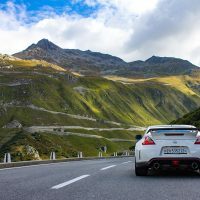 In our personal opinion you will experience the most exciting climb if you are driving it from west to east, since this is where the tightest hairpins are located. 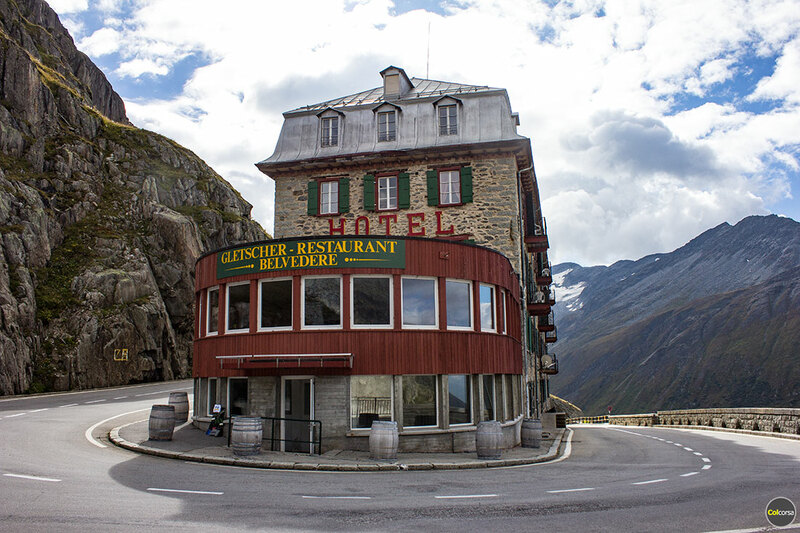 Once you have reached the bend where the now closed Hotel Belvedere still stands we advice you to stop to enjoy the scenery, take a walk inside the Rhone Glacier Ice Grotto, or just grab a coffee with a view. 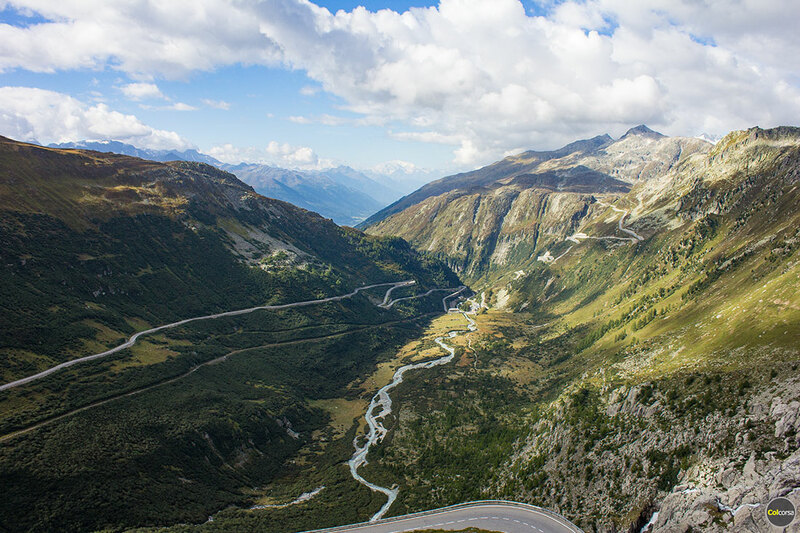 Furka Pass looks incredible from all angles – whether you are looking up from the valley, ready to start your engine and tackle the hairpins up to Belvedere, or have reached it already and look down at the valley and Rhone River. The road that continues from Belvedere and Realp is also very scenic, with nice straights and of course even more hairpin corners. 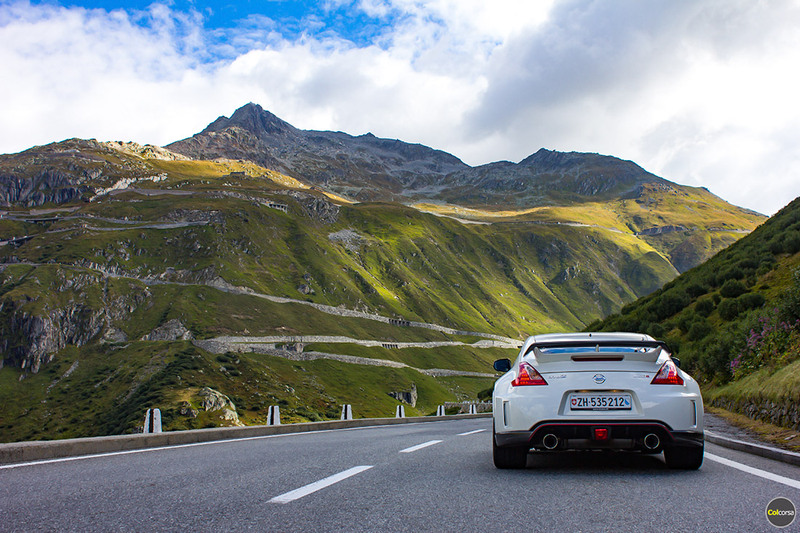 The altitude of this mountain pass is 2,429 metres above sea level, which makes it the fourth highest paved mountain pass in Switzerland. 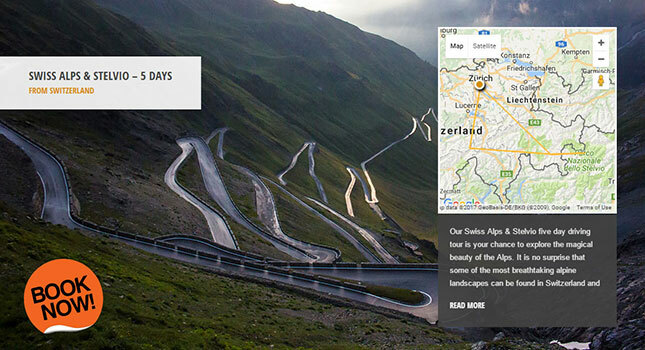 Because this region of Switzerland gets a lot of snow in the winter the season for the road is not very long. It opens every year in June and usually closes again in October. In the winter when the road is closed you can transport your car by train in the Furka Base Tunnel, connecting Realp and Oberwald. 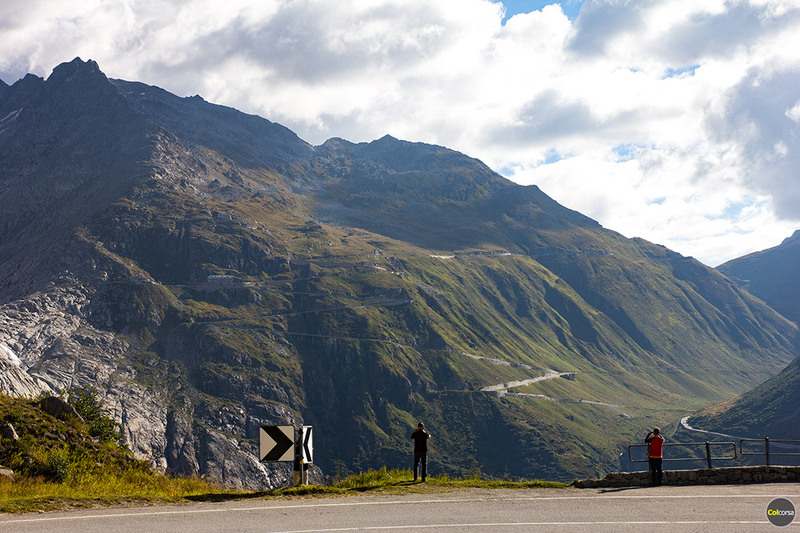 Although the Furka car train operates 365 days a year we really advice you to forget about this option in the summer, if you like us enjoy driving and spectacular views. 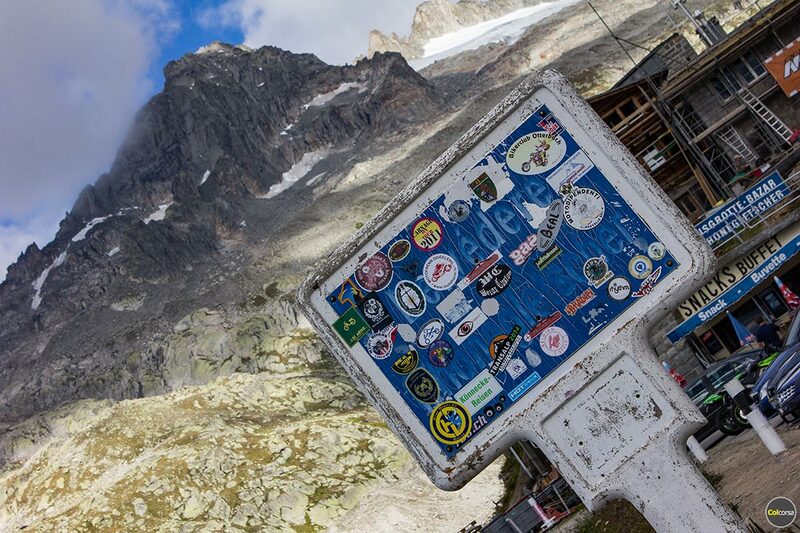 When you are standing on one of the world’s greatest driving roads there is no substitute.